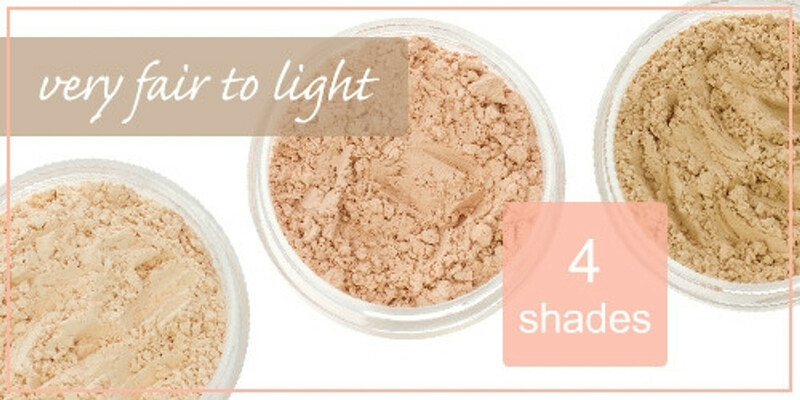 Are You Concerned If Mineral Makeup Is Safe For Acne, Rosacea Or Any Sensitive Skin Issue? Sterling minerals foundation will provide your skin with soothing comfort. You will enjoy how our loose minerals have natural looking coverage, yet will conceal redness, acne scars, and under eye circles. They are safe and gentle for acne, including cystic acne, and in fact will help your skin look and feel better without having a heavy or caked feel. Our mineral base was created to treat sensitive skin, including rosacea and acne gently. When dealing with acne or cystic acne, one of our 3 proprietary foundation formulas will be best suited for your needs using essential minerals combined with skin conditioning botanicals your skin will crave. You can finally relax knowing you'll be using a makeup that will not itch, burn, or further irritate distressed skin. The best part is, we accomplished these wonderful formulas for women and men without using the dreaded Bismuth Oxychloride. Yes, our minerals are bismuth oxychloride free! Do You Have Oily, Combo Or Dry, Mature Skin With Fine Lines Or Wrinkles? No problem! You will be able to transform your skin to feel and look renewed and healthy, no matter your skin type. How you might ask? 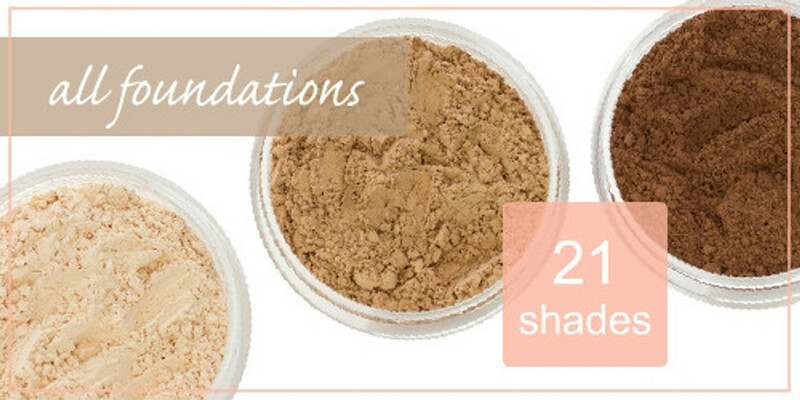 Sterling Minerals is the only mineral makeup brand that offers 3 Special Mineral Foundation Formulas for Specific Skin Types. They are defined by helping skin to normalize it's pH levels and will benefit skin issues that are either sensitive, normal, oily, dry or combination skin. We have your favorite skin type formula. Even if you are lucky enough to have perfect skin, then a light touch of mineral powder will nicely enhance your natural beauty. The best part is, our foundation will not dry out your skin and they resist caking and creeping into fine lines. You'll Truly Love the Soft Focus for Concealing Life's Imperfections. Are You Not Sure About Wearing Mineral Makeup Or How To Get Started? We pass the test for ease of use and convenience. 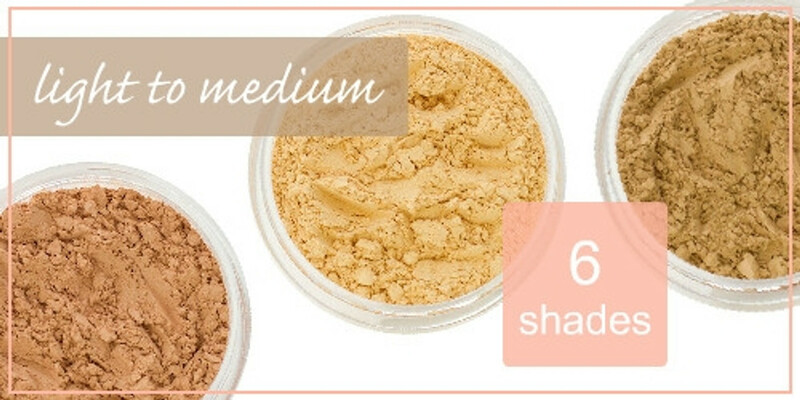 You'll be amazed at how fast and simple our natural loose mineral foundation powder is to apply, and discover as many other women have, they are literally goof proof. You can't mess it up! Plus you'll love how extremely long wearing your foundation will be, while providing excellent coverage, yet you can decide to go as light or heavy as needed. That's not all... Our mineral based foundation is feather light with a silken finish leaving your skin texture beautifully refined and polished. You no longer have to worry about fading, streaking or melting away before days end. Hot and humid conditions are no match for your mineral makeup since it will withstand perspiration well, and stays put when swimming. We would love to show you how to get started. What About Finding Your Mineral Foundation Shade Match? We have this covered too! Sterling Minerals offers 21 true natural foundation shades for Fair, Light, Medium, Tan, and Dark Skin Tones. Product descriptions along with a fully disclosed ingredient list are thorough and will assist you with picking out the correct makeup formula. You'll find your skin type and the best shade, including suggestions of your best skin tone match and how to blend together to customize your perfect shade. PROBLEMS SOLVED WITH STERLING MINERALS FOUNDATION!